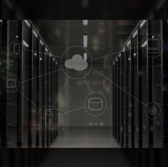 Cray has partnered with Intel and Microsoft to help customers manage workloads on a high-performance computing system hosted in a cloud environment. The partnership will allow clients to leverage Cray’s Sentinel supercomputer alongside a suite of Azure cloud services and tools such as those designed for artificial intelligence, machine learning, storage, archiving, remote visualization and internet-of-things applications, the company said Tuesday. Fred Kohout, a Cray senior vice president, said customers can build workflows in the public cloud that supports supercomputer-based modeling and simulation. Intel’ Xeon Scalable processor technology powers Sentinel being maintained in an Azure data center and linked to cloud infrastructure’s worldwide network backbone. Brett Tanzer, general manager of Microsoft, said offering Cray supercomputing services to joint customers marks a step to push the boundaries of research, AI and simulation in the cloud.